We've rounded up a whole load of awesome video converters for Mac, Windows and Linux so can watch your videos on any device. Mobile devices are great. 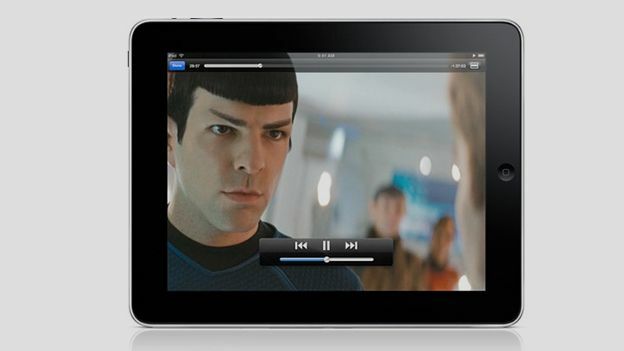 All your media - music, films, games and TV shows available to you, right in your pocket. And with devices like the iPhone 6 Plus and iPad Air 2 coming with 128GB of internal storage, you've got plenty of space to store all that content. The issue comes with getting the content on the device. While streaming sites like Netflix and Amazon Instant are great, the lack of offline caching means they're useless unless you've got a strong Internet connection. So, unless you get your content from iTunes, you'll need to encode your videos to the particular format accepted by these devices. These pieces of software are great, all-in-one solutions for getting your videos ready for mobile viewing. They all accept a load of formats and many have special output presets that'll churn out your footage ready to go. Extras features like adding in hardcoded subtitles, editing and trimming add further use, but it's really the basic converting skills that make all these must haves. ImToo produces a whole host of tools for video converting, but the YouTube tools are some of the slickest. Whether you want to strip out audio, download SD videos or go the whole way and get the video in full HD, there's something for you here. The most powerful converter, for instance, can take 4K videos from YouTube and convert them into a whole load of different files for easy upload to your mobile device. It's speedy too, so you won't be waiting around for hours for the files to convert and upload. If you're rocking an iOS device, maybe an iPhone 6, iPad or Apple TV, this is a great all-in-one converter that'll handle all your video needs. Fully compatible with the newest version of OS X, 10.10 Yosemite, the app accepts a whole load of formats and doesn't need any extra downloads or plugins to handle some trickier file types. 4K video is supported and there are options for editing the video too, like cropping, merging clips, adding subtitles, along with preset output profiles for dedicated devices. This Mac specific piece of converting software is feature packed and works through the whole process - from ripping to converting. It'll take a DVD and automatically convert the contents to files readable by a whole load of media devices, even letting you solely extract the audio track. Once your file has been converted it'll automatically appear in your iTunes library, ready for syncing. Editing options are available too, with trimming, cropping, screenshotting and more all fully supported. Possibly the most well-known piece of free converting software for Mac OS X, Windows and Linux, Handbrake is sleek, lightweight, very capable and most importantly, it's fast. It'll work with just about any file codec you throw at it, turning it into one of a number of preset profiles. You can add in chapters to your footage, queue up multiple videos to encode and even add in hardcoded subtitles.